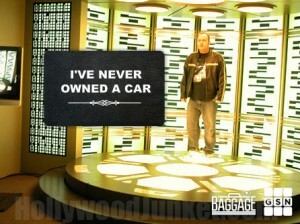 GSN dating show, hosted by Jerry Springer, “Baggage” has added a new photo application called “Baggage Claim” to Facebook. Basically, the app allows users to add “Baggage claim” tags similar to the ones used on the show to any photo of themselves while also allowing users to make-up their own text to put onto the tag. The application is very easy and fun to use. After you’ve created your original baggage claim tag, you can then share it via email, Facebook or Twitter. We did all three with no problem!